We’re celebrating a new win at Big Star. We’ve just signed an agreement with Star Psychics to provide a daily news feed for their site www.StarTemple.com. We started providing articles for them back in February and our relationship has built since then, so this latest piece of work feels like a real endorsement that what we’re doing for them is working and that we understand the kind of content their customers want. The brief for the daily news stories is fairly concise – we’ll be talking about astrology in relation to celebrities, soaps and Hollywood gossip but also relating to world and UK affairs. Other than that, Star Temple are already happy with the style and tone of voice as we developed this already through the article work we’ve done. The project is a good example of how we can create content virtually autonomously and still get exactly the content the client wants. Star Psychics first approached us to create two celebrity articles that focused on a spiritual/astrological theme. They supplied us with the titles and a brief guide as to how they wanted the content to sound. There was a round of changes to one of the articles to get the right tone of voice but the whole process was complete in two or three emails. The process with Star Psychics has been incredibly straightforward. Our tone of voice guidelines consisted of two reference points plus their existing content – literally a couple of sentences – as well as the title and a word of two about theme. Our skill is taking that scant outline and building interesting engaging content that engages with Star Temple’s customers. We work in a flexible, responsive way with our clients. That means we can course correct quickly if the content isn’t spot on. After the first two samples, Star Psychics have had little need to provide feedback and when they have we respond to rewrites quickly and add any general themes to future briefs. Over time we’ll build up a set of style guidelines that ensure we’re not repeating old mistakes. There’s a quick answer to this: you don’t have to. For many clients we just receive a title and a keyword – and that’s it. Our job – and we do it well – is to construct interesting, engaging content around that subject area. Most people don’t have time to go and source and write daily news stories in their industry sector. That’s why they come to us and we make sure that the process is really easy for them. Our skill is that we can write on your behalf without your customers noticing. We can research and write on virtually any topic. We can write in your style. We can emulate your tone of voice. We can work to your style guidelines – we can even write those guidelines for you so that other writers can use them too (we can train those other writers too, but that’s another story). We ghost write blogs for a number of corporate clients. Their customers are none the wiser and are happy to be able to get regular content rather than having to wait until that senior person in the organisation (you) gets 10 minutes to put pen to paper. – If I’m not in control, it won’t be good enough or they will say something that could be detrimental to my company. – We interview you, your customers, your colleagues; we work with original material that you supply. This works very well for compelling press releases. – You supply an outline of the article you want, with links to the source material you’d like to use. A good process for highly technical articles or news stories. – You supply the title and the keyword. 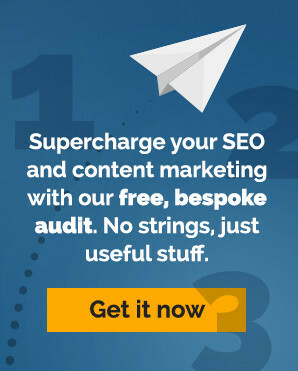 An efficient way for you to direct the content around your SEO campaign. – We supply the titles for your approval before we start writing. We often start this way to build trust with a client. – We source the titles and create the content around the title before submitting for your approval. Long-term clients trust us to work autonomously. – We create and publish the content on your behalf. This works particularly well for blogs and news feeds, especially if we are working on the blog promotion or social media marketing where we require a high degree of autonomy. When it comes to blogs, blogs or articles you don’t need to spend any time researching, managing, editing or even publishing. Once the process is up and running we can do it all for you. The process is roughly the same for any news, article or blog content we produce. We create a couple of samples based on a scant brief. We take client feedback and then apply that to future posts. We then course correct according to your changing needs or response to content. We work with a number of businesses where we produce content totally autonomously. The only contact we receive from them is the payment of our invoice. We create the titles, we research the material, we create the content. For some people we even publish the content and then promote that content through social media. The Holy Grail for most clients is great content without the need to be involved. And that’s exactly what we can deliver.